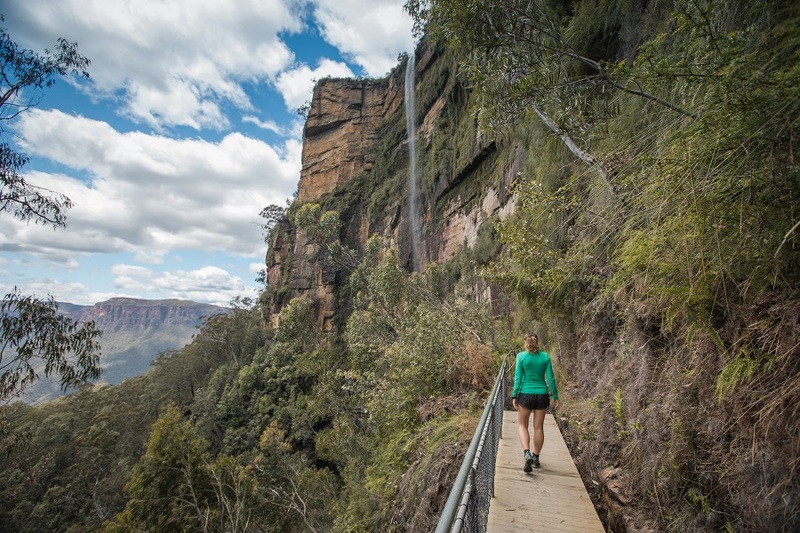 We spent over a week in the Blue Mountains, New South Wales. We tried to do as many hikes as possible. 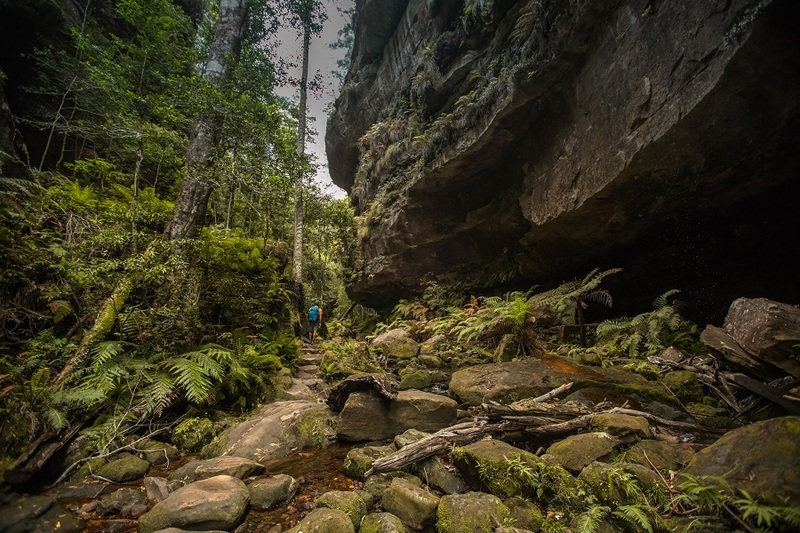 The Blue Mountains have a nice variety of hikes ranging from a one hour walk to multi-day treks. 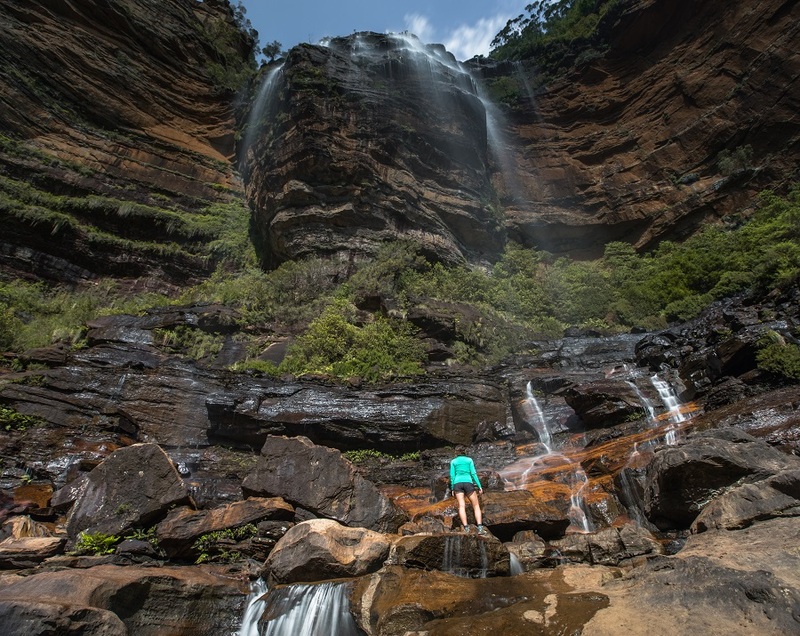 Some trails are in massive canyons, some to flowing waterfalls, and others to desolate peaks. Whether visiting for one day or a week these walks will keep you entertained. 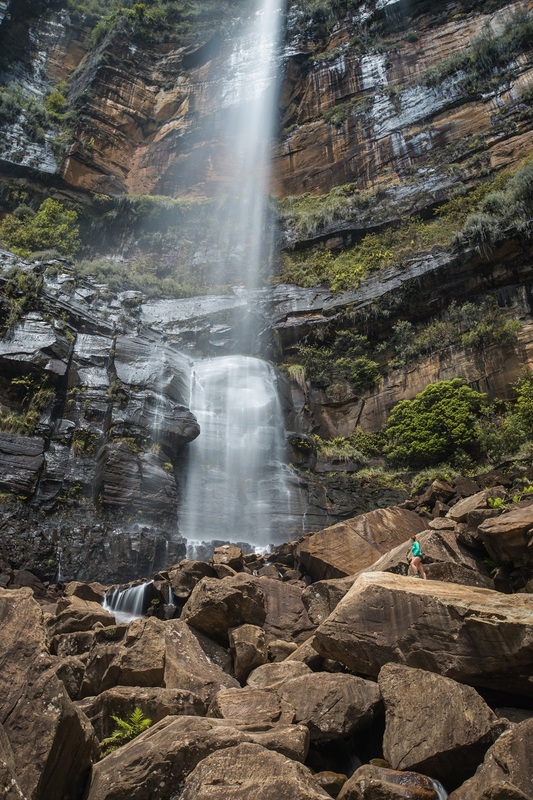 The list below is the best hikes in the Blue Mountains, Australia. 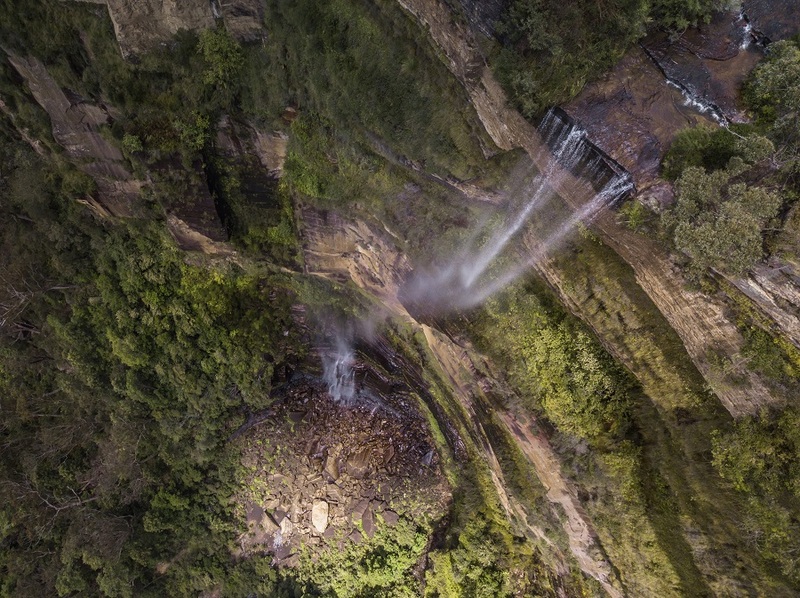 Aerial view of Govetts Leap Falls. 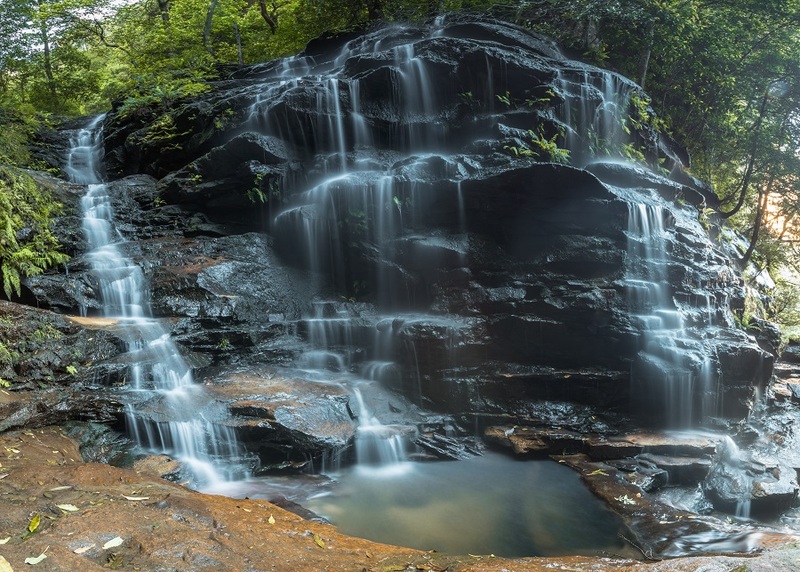 A hike leads to the bottom of the waterfall. 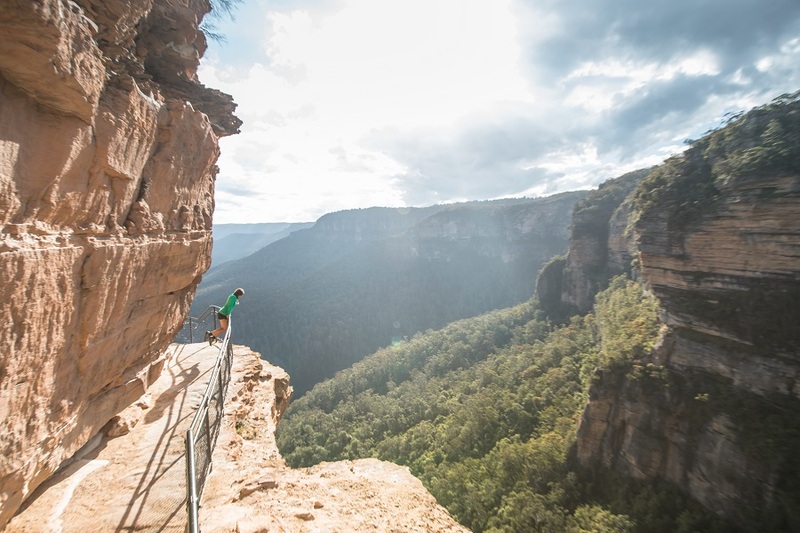 This hike starts at the Govetts Leap lookout car park. 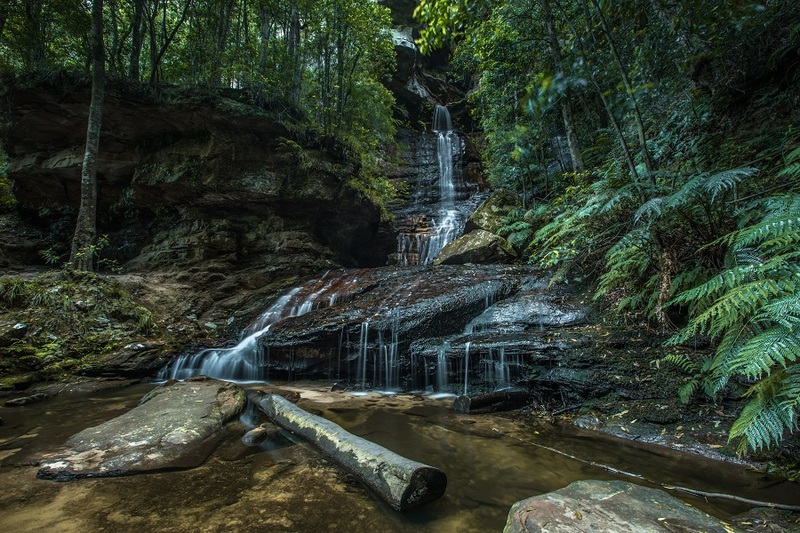 From there the hikes descends to the base of the Govetts Leap Falls. Throughout the hike the views of Grouse Valley are stunning. The hike is a steep descent but worth the effort. The views of the waterfalls are beautiful and the track in itself is pretty awesome. 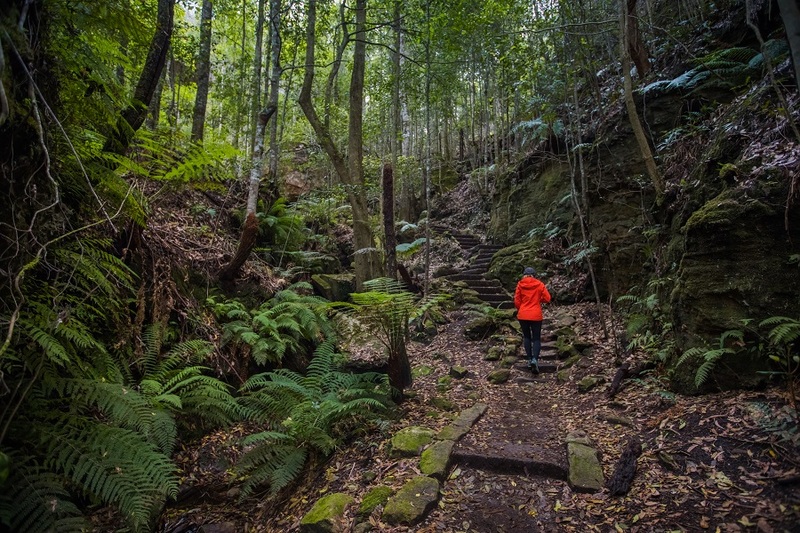 This trail, the Williams Track, leads into the Blue Gum forest to the Rodriguez Pass and the Blue Gum Trail. For the most bang for your buck go for the Valley of the Waters track. 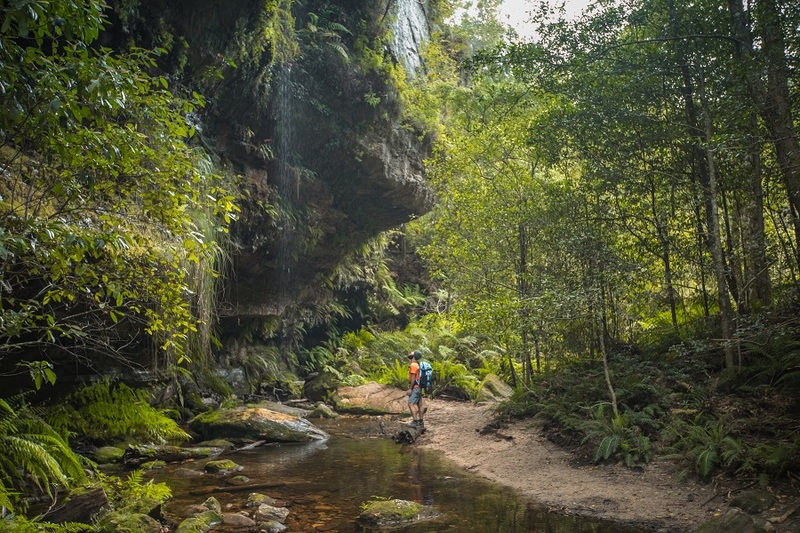 This short track is packed with waterfalls and lush greenery. The track can be slippery at times so make sure to wear shoes with good tread. The track descends 300 meters. 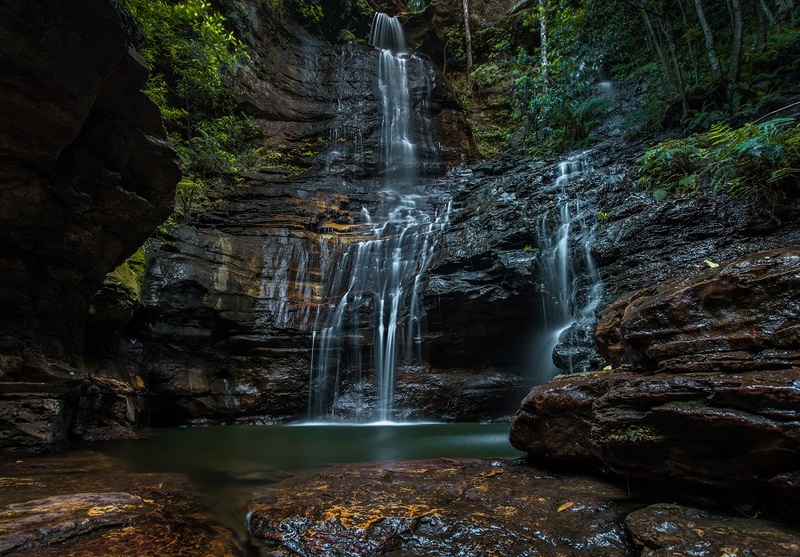 After reaching the last waterfall you will have to turn around and climb the 300 meters back up. 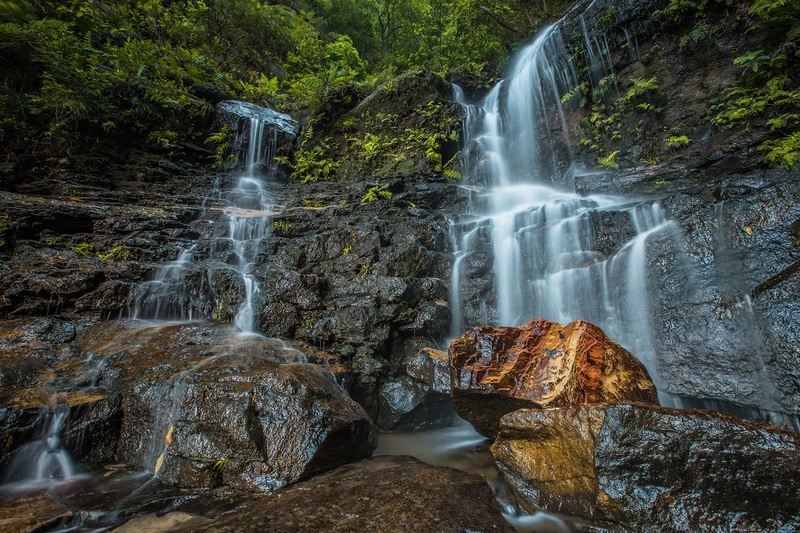 There are a few overlooks and three beautiful waterfalls on the track: Empress Falls, Sylvia Falls, and Lodore Falls. This is by far the hardest hike on the list. 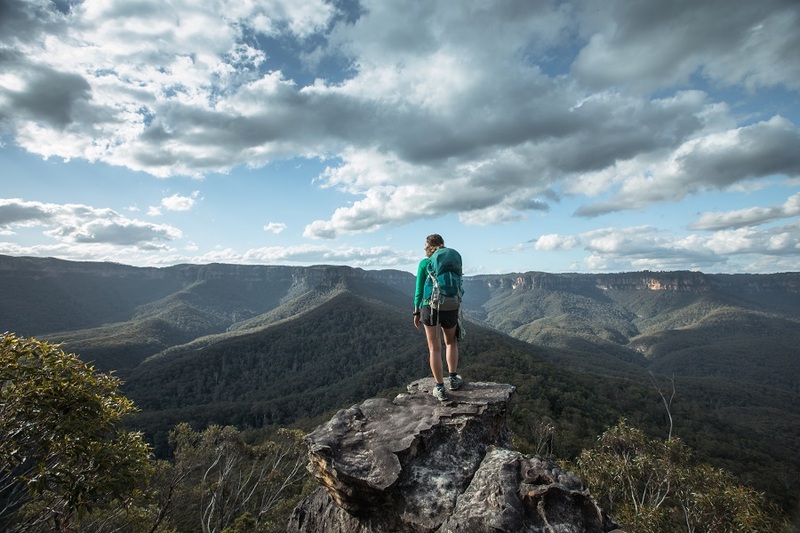 This hike can take almost 9 hours if completing it in one day, so make sure to leave early. This is also an excellent overnight hike. We camped on the summit, where there are several good campsites. 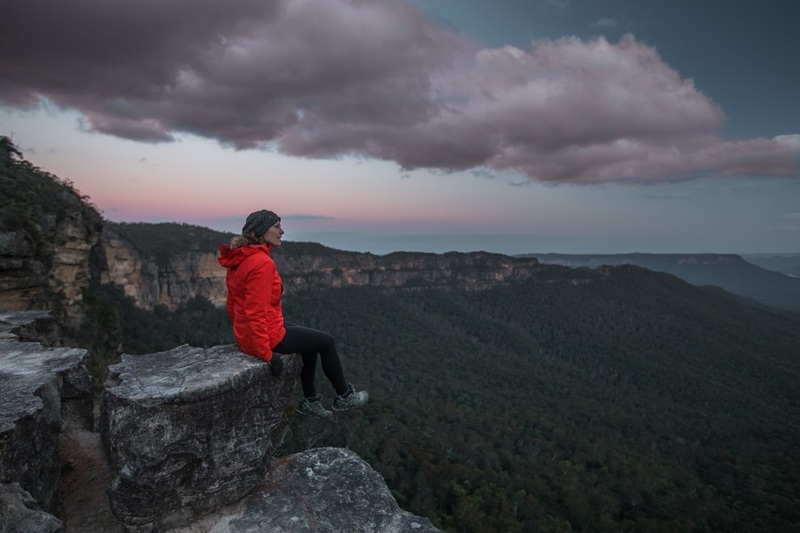 Waking up to a beautiful sunrise was a highlight of the Blue Mountains for us. If this sounds too intense for you, the hike to Ruined Castle is worth the effort. The first part of the hike goes down the Golden Staircase. It’s relatively flat the rest of the way until a short ascent up to the Ruined Castle. The area around there can be explored for an hour or so. 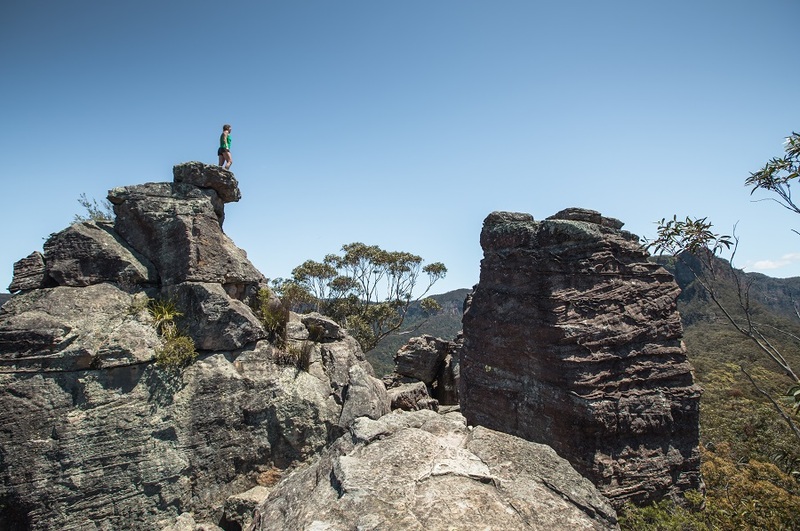 Afterward, the hike to Mt Solitary can be intense. 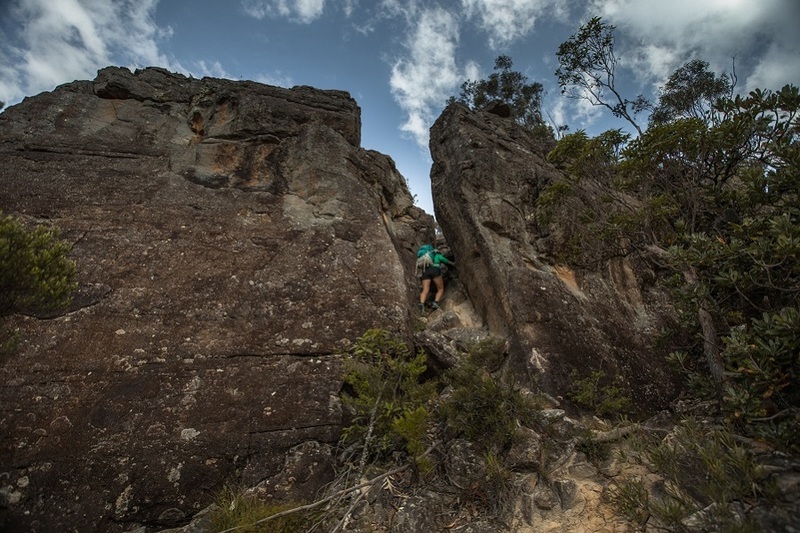 There are many sections that need scrambling and a bit of climbing. After reaching the top, the hike continues along the plateau. This hike is not for the faint-hearted. This hike is impressive because the track is etched into the rock, making some epic photo opportunities. The trail gets crowded so leave early. 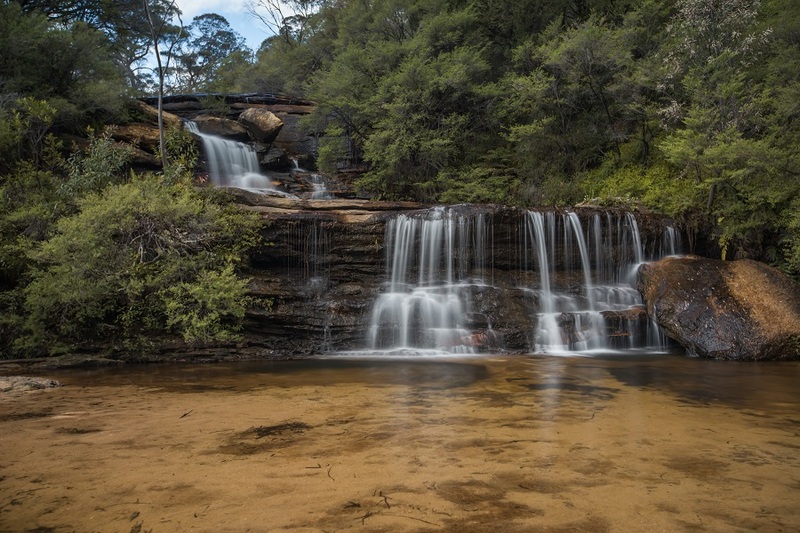 The best part of the National Pass is about 45 minutes into the hike, past the top of the Wentworth Falls, before descending to the valley floor. The trails cuts into the mountain and seemingly looks to be leading to nowhere. 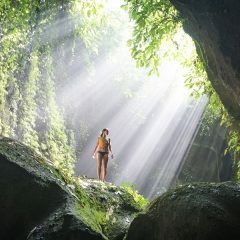 From the bottom of the waterfall, the views up are absolutely stunning. This walk is different from the other walks in the Blueys. There are lots of places to see fauna and foliage along this trail. Because the track descends into a canyon, the temperature drops quickly. This loop track is a perfect way to cool off on warmer days. We found the track to be quite easy but the ascent might be tough for some. 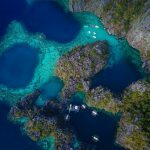 If hiking is not your thing, there are plenty of incredible overlooks that are accessible by car. 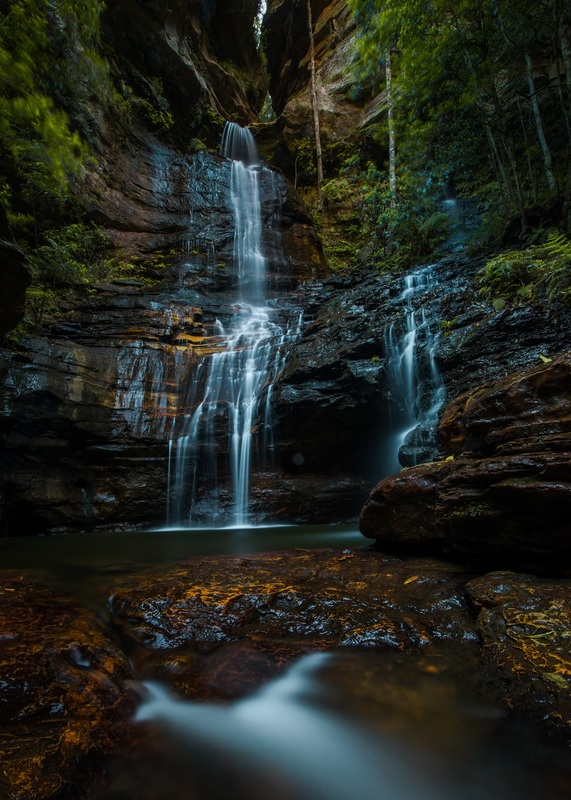 The Blue Mountains have so many incredible places to check out. We cover our favorite lookouts in a different article. 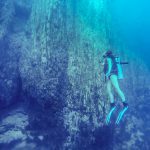 Check out that post here.